Many of us wonder: how long does a mattress last? Understanding when to replace your mattress is vital to give you the support you need for a healthy body and to experience a peaceful sleep all night long. That’s why our leading experts have compiled this comprehensive guide crammed with everything you need to know about mattress lifespans. Also, our handy guide will help you recognise the warning signs of a mattress that is no longer supporting you correctly. So, read on to discover all the need-to-know facts and figures to help you get the most out of your mattress and know when it’s time for a replacement. Your back and joints will thank you! In ner-spring mattresses fluctuate wildly in price and quality. Their lifespan really comes down to the quality of the springs. Longer-lasting designs include ‘S-shaped’ springs as well as individually wrapped coils. Heavier gauge offers better resilience and durability although can be firmer. Other things that contribute to the resilience of these mattresses is the amount of springs. If you weigh more than 150llbs, you should be looking at high-coil counts of at least 200+. Not only that, but investing in a dual-sided mattress that you can flip every six months will seriously prolong the lifespan of the mattress. The heavier you are, the more pressure you’ll apply to the springs. This causes them to wear out faster reducing life-span. Foam mattresses are a diverse breed. Lots of different types of foam as well as different layering strategies make an accurate figure hard to come by. Similar to the innerspring above, they is no definitive lifespan. Premium products have better warranties because they have better lifespans. Be thorough when conducting your research. 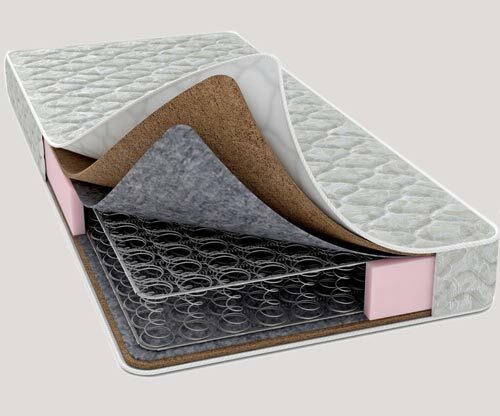 A well-chosen foam mattress could last between 10 and 15 years so it’s worth the extra outlay. Unless stated otherwise, a foam mattress won’t be dual-sided. This is due to the structure of layers meaning you can’t flip the mattress. You might won’t to turn the mattress around to help evenly distribute weight across the whole area. A lot of hybrid mattresses register in the cheaper scales of budgets. Unfortunately, that results in a shorter lifespan. Combining foam with inner coils means there’s lots more to go wrong. For that reason, we’d estimate a hybrid mattress to last 3 to 5 years. If you’re investing in a premium rated hybrid then you can expect the lifespan to be a little longer than a standard innerspring. 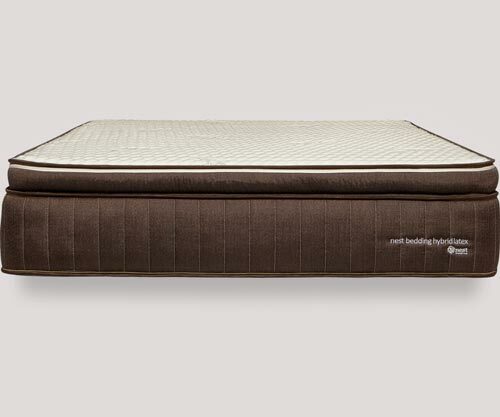 Memory foam outer-layering softens the impact on the coils leading to a lifespan of 10 years or more. If you can flip it, you could get even longer. Again, the lifespan of an air mattress varies a lot. If you’re investing in a cheap ‘camping mattress’ from a local superstore, then you’d be happy to get 3 years. However, if you’re investing in a daily use mattress, with in-built pump you could pick something up that lasts closer to 15+ years. 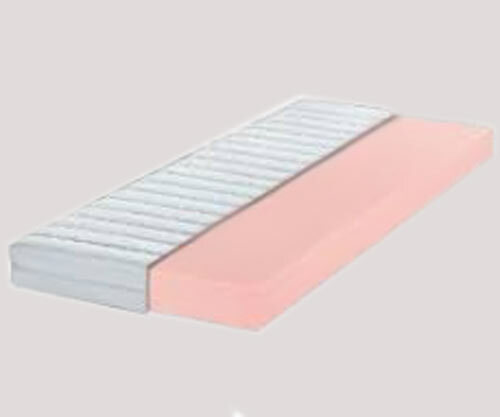 The reason everyday air-mattresses have the potential to last so long is that they are constantly refilled. So long as the outer cover retains its integrity the inner won’t soften like coils or foam. This makes it an exceptionally appealing material to opt for if you want a sound investment. Latex is by far the most durable mattress material. An all-natural, latex mattress has the potential to last for 20+ years. The reason? Latex is a resilient natural material. It’s high-density, firm surface supports different weights, plus it won’t soften with time. When you’re choosing a latex mattress pay special attention to the blend. Companies will promise a latex fabric but, when you look closer, most of the mattress will be foam. On top of that, always look for high-density versions if durability is your goal. It’s always important to check with the manufacturer to find out the type of support you’ll need. These details can be found in the manual, or by speaking directly with customer support. If you’re instore, ask the service assistant. Spring mattresses work best with box springs. Memory foam, on the other hand, use solid firm surfaces. The size of your bed will also be a factor. Queen size and above will require slats, or support frames. Wood is flexible enough to balance support with comfort so should be your material of choice. Conduct annual checks of your frame and slats to make sure there are no loose or broken parts which will cause the mattress to dip. A well-used mattress can have anywhere from 100,000 to 10 million dust-mites inside. That’s not taking into account bacteria growth or mold. Indeed, a prime reason for replacing a mattress is because it has become unhygienic. So how can you keep a mattress for years without keeping the dust-mite population too? Simply put, buy a mattress protector. We strongly recommend using a mattress protector from the beginning. They’re waterproof, prevent staining as well as reducing dust-mites and bacteria populations. Mattress protectors are no less comfortable than a fitted sheet. Not only that, they’re machine washable and protect the inner lining of your mattress. It’s really a no-risk investment that will increase a mattresses lifespan significantly. You’ll spend roughly a third of your life in your bed. That means you’re subjecting your mattress to skin oils, sweat as well as bacteria carried from outside. To make things worse, if you eat on your mattress you’re adding crumbs which attract all sorts of insects and mites. No, changing the linens on your bed is a must if you want a long-lasting mattress. Experts recommend making a change once every week or so. Regardless of using a mattress protector, you still need to wash and inspect linens regularly. We all love snuggling up to our pets in the evening, but they should really be sleeping in their own beds. Cats and dogs will spend time outside where they pick up bacteria and all kinds of parasites like fleas. Introducing these to your mattress is a nightmare. Buying a separate, cozy sleeping area for your pets is a smart idea. You can still cuddle with them in on the sofa, just not where you’re going to sleep. The longer you sleep on a mattress the more likely you are to create pressure points. These form over time on even the best mattresses. Pressure-points can play havoc with your back or neck so reducing them will really stretch the life of your mattress. 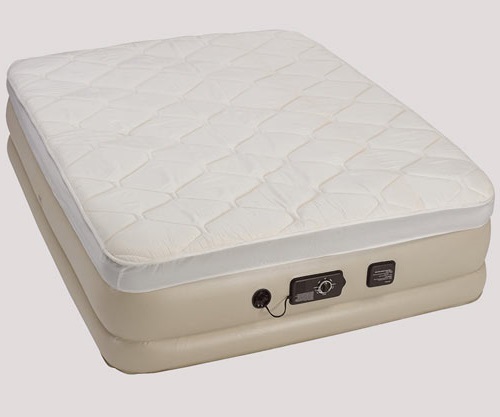 Rotating the mattress will help to spread your weight evenly across the mattress. Your legs tend to be lighter so switching it around every 3 months will make your mattress much happier. Better yet, invest in a dual-sided mattress that can be flipped and rotated for the best results. Seems like an obvious one, but jumping on the bed is terrible for your mattress. If you’re using foam there’s nothing to worry about, but breaking a spring in a coil mattress creates painful pressure points. You wouldn’t bounce on your car, so don’t bounce on your mattress either. Another obvious one. Tearing the outer material of a mattress by hooking it on a loose nail, or floorboard during moving seriously hurts its lifespan. Once the outer material is broken, all types of creatures and bacteria will enter and reproduce. Bed-bugs are hard to spot and even harder to stop. If you’re sleeping at a hotel or friends always look for signs of bed-bugs. Alternatively, invest in a mattress protector specially designed to prevent bed-bugs making a home in your bedroom. Airing mattresses is common, although most people do this in the wrong way. On a dry, sunny day, lift up the mattress to help air out humidity or sweat. There’s also some research to suggest doing this every 2 months helps keep dust-mite populations in check. 10. When you buy a mattress you’ll find a set of cleaning instructions in the manual, or on the label. In some cases, you might have to visit the manufacturer’s website. Nevertheless, cleaning a mattress should be done on a monthly basis. Vacuuming is most important, whilst wiping with a damp cloth should help remove stains. The recommended time to replace a mattress is every 5 to 10 years. Having said that, some mattresses will need to be replaced earlier, whilst others much later. Here’s a few tell-tale signs that your mattress needs replacing. If you’re waking up to aches and pains then a likely cause is your mattress. 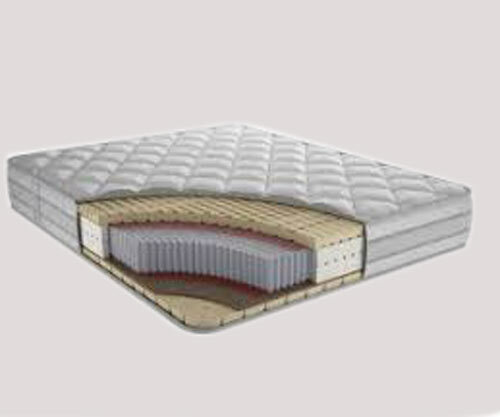 Pressure points build up over time as mattress support wears away. On memory foam be aware of loss of shape as well as softening. If you notice your allergies are getting worse or allergies are developing for the first time. This is a sure sign of an old mattress with high-counts for dust-mites or other bacteria. Another thing to look out for, restless nights. These indicate you can no longer get comfortable because the mattress has slipped out of shape. If you’ve noticed any of these signifiers occurring with your mattress its time to invest in an upgrade. Be sure to check out our in-depth mattress reviews to help you find the perfect one for your budget. More Reading: When is the best time to buy a new mattress?